A group of fourth year students have been awarded with study scholarships in order to conduct their Bachelor thesis in Engineering, Geosciences and Urban Planning and Architecture at RWTH Aachen University (Germany). All students have already visited RWTH Aachen University during study-excursions in the past years and they have studied German for three semesters at GUtech. “We are happy to send five students to our partner-university. The students have passed a selection process and were the most successful. To enhance the cooperation with German universities, DAAD is sponsoring GUtech students and excursions regularly,” said Andrea Cornelissen, DAAD Representative in Oman and German Lecturer at GUtech. Three students will receive funding from the German Academic Exchange Service (DAAD), one student will be sponsored through a research grant and another student will be self-sponsored. The students are currently doing some final exams and preparing for their studies abroad. “Studying Engineering at RWTH Aachen is great, there are many well-equipped laboratories,” said Nouf Al Salmi, Process Engineering student, who is holding a scholarship from Petroleum Development Oman (PDO). Nouf and her Engineering study-colleagues and professors have visited RWTH Aachen during a three week excursion last year. Balaj Faisal is also studying Engineering. He will write his Bachelor thesis on “Modelling of Steel Production” at the Department of Mechanical Engineering at RWTH Aachen. Balaj conducted an internship at a steel company in Italy last year and he studied at the Department of Mechanical Engineering at the University of Brescia for several months. He was also part of a Summer School at the Veolia Head offices in Paris along with only 20 other international students. “My participation in the Shell Ecomarathon last year, helped a lot to get accepted for the Veolia Summer School” he said. After the Bachelor’s thesis Balaj would like to gain some work experience with Veolia, especially in the field of renewable energies and then continue with a MSc programme. “I know I will learn a lot and become more independent while studying in Germany,” said Rawan Bassett, who will conduct her Bachelor thesis on an Urban Design project in the city of Aachen, supervised by Prof. Rolf Westerheide, Department of Urban Planning and Architecture at RWTH Aachen. Prof. Westerheide has set-up the Bachelor of Urban Planning and Architectural Design Programme at GUtech and has conducted a joint workshop for GUtech and RWTH Aachen students in November last year. In the Department of Geosciences at RWTH Aachen, Harith Al Kubaisy and Al Muhanna Al Harthy will be involved in an ongoing research project in Oman while writing their Bachelor thesis supervised by Prof. Dr. Gösta Hoffmann (GUtech and RWTH Aachen) who has been conducting a tsunami research project on the coastline of Oman, along with Prof. Dr. Klaus Reicherter. 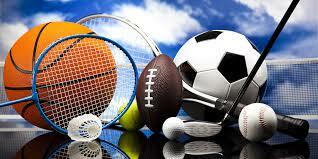 “I am looking forward to going to a place I am already familiar with. 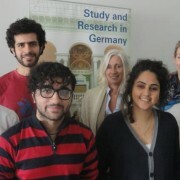 The atmosphere in Aachen is very student and research oriented,” said Harith. Comparing his lifestyle here in Muscat and life in Aachen, Al Muhanna enjoyed walking instead of driving with the car. “Within the city, I was only walking,” he said. For most of the students, this upcoming four months stay will be their first time alone and abroad. However, they are looking forward to experience a very different lifestyle in Germany and cooler temperatures as well. 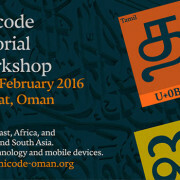 BARKA The German University of Technology in Oman (GUtech), located in Halban, will hold a special Unicode Workshop focusing on the Middle East, Africa, Central and South Asia between 14-16 February 2016. The Workshop is organized by GUtech and sponsored by The Research Council (TRC). A group of top-level computer scientists from Silicon Valley (US) and other countries will give presentations on the creation of Unicode for the internet. Unicode has facilitated the transcription of different languages for the internet usage. “This tutorial workshop is a three-day event designed to familiarize the audience with Unicode and the concepts of internationalization. It is the first Unicode event in the Middle East and Asia,” said Dr. Hussain Al Salmi, Deputy-Rector for Administration and Finance at GUtech. Unicode provides a unique number for every character in the internet – no matter what the platform, no matter what the program, no matter what the language. Linguists, cultural experts from different countries and many others contributed to the success story of the internet Unicode. According to Lisa Moore, Vice President of Unicode, Unicode the code is developed by the worldwide internet community. It started in 1991 with 7000 characters, today Unicode has encoded more than 130,000 different elements of writing. Throughout the three day workshop experts will give an insight into Unicode. Richard Ishida of W3C Internationalization Activity Lead will give a talk on the many unique characteristics of non-Latin writing systems, and illustrate the problems involved in implementing such scripts in products. His talk will not provide detailed coding advice, but provide the essential background information to understand the fundamental issues related to Unicode deployment, across a wide range of scripts. Unicode also created the bidirectional algorithms, so that the Arabic language can be transcribed into English characters. Addison Phillips, the principal engineer and internationalization architect of Amazon.com will speak about internationalization and how to incorporate internationalization into the design, implementation, and delivery of a software product? Amazon.com’s internationalization architect demystifies it for you. This session provides an introduction to the topics of internationalization, localization and globalization.